Sanaa Alimia works on issues of refugees, migration, and urban politics in Pakistan. Currently she is based in London where she teaches at the School of Oriental and African Studies (SOAS). The word 'refugee' conjures up images of rows of tents, barefoot children and saddened faces. The reality is more complex. 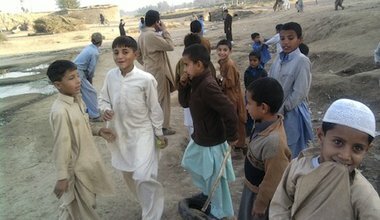 My research shows that Afghan refugees have developed lives alongside Pakistani nationals in Karachi's poor katchi abadi areas: marrying, working, loving and learning together.